Summer’s here and so is the time for throwing fabulous get-togethers at home: from quaint balcony brunches to al fresco dinner parties by the pool. 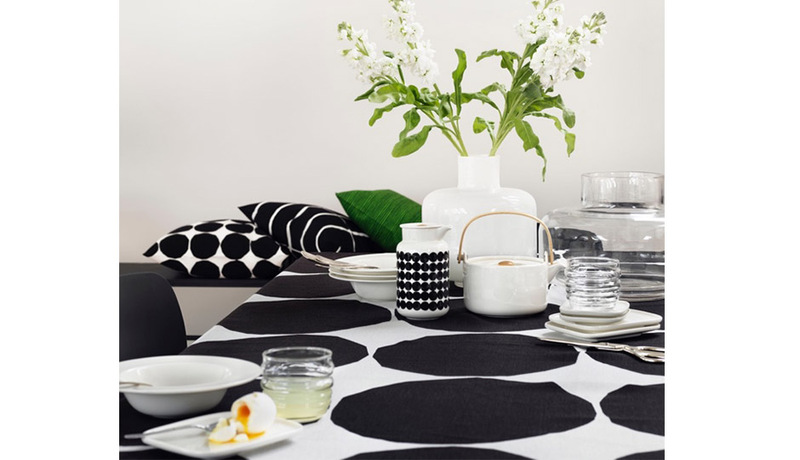 And while all hospitable hosts ensure guests get their fill of seasonal dishes, only the most stylish entertain with unique, artful décor like that of Finnish design company, Marimekko. 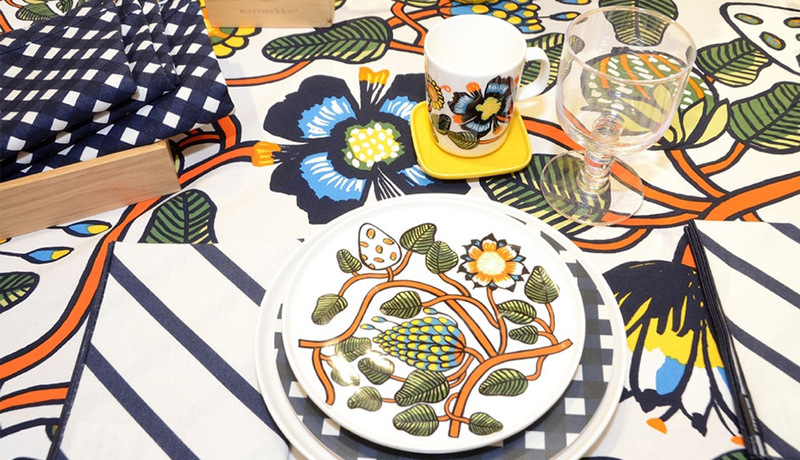 With original patterns, textiles, and table wares always in-store, these creative Marimekko looks — featuring 2016 end-of-season sale products — have us celebrating summer in style! 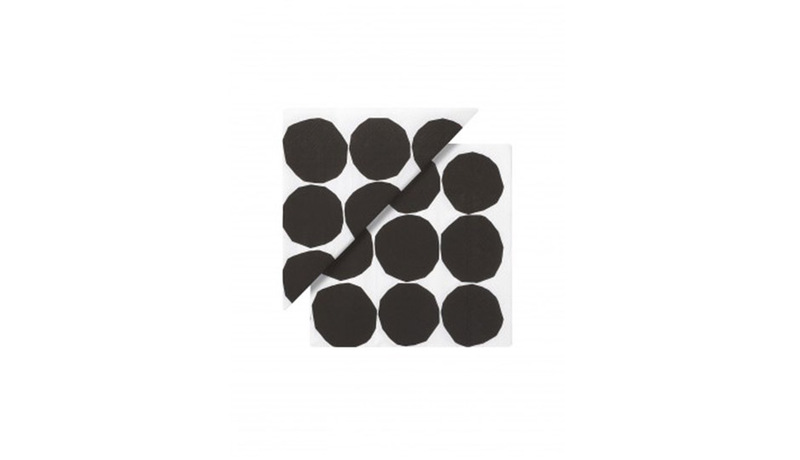 Make a statement with geometric black and white fabrics, striped prints, and Marimekko’s classic Kivet pattern that builds on circles cut from black cloth (to emulate stones). The eye-catching look is at once graphic and clean — and, takes kindly to minimalists who love to mix and match. Piene Kivet lunch paper napkin: Sometimes the smallest details can make a big impact! Party guests will clean up in style with these perfectly-printed napkins that will add a bold visual touch to any place setting. 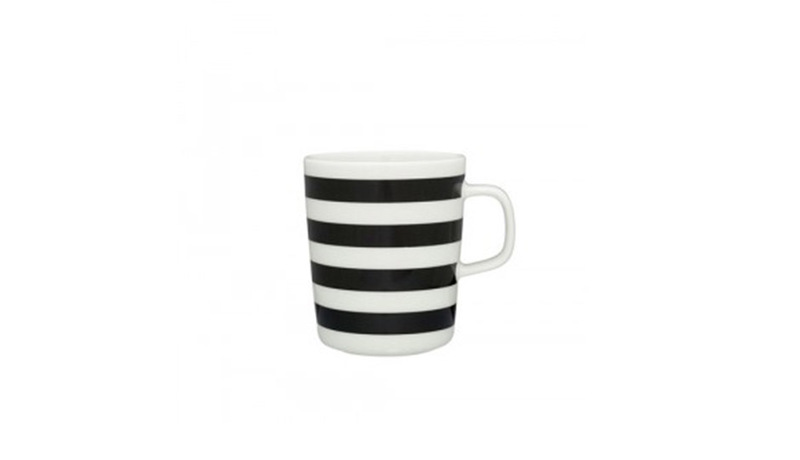 Tasaraita mug: Mix and match for maximum style in your Kivet-inspired space. 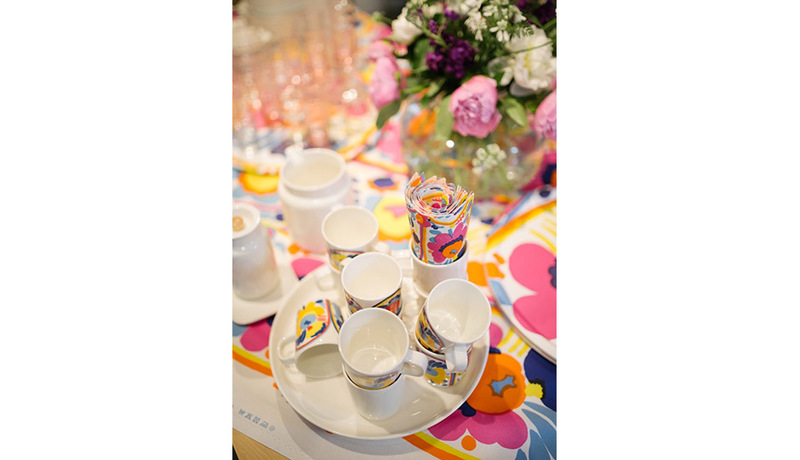 The striking Tasaraita collection blends beautifully with the illustrative look, and is just one of many within Marimekko’s medley of dinnerware options whose bold flavor blend so well with others. 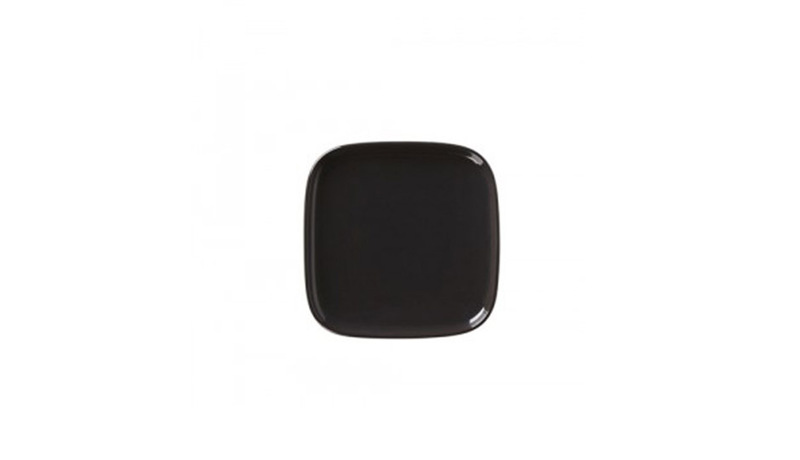 Oiva small plate: Designed as part of a dinnerware collection specially-crafted for Marimekko, this simple, clean shape and color pairs perfectly with the Kivet pattern and will inspire fresh conversation at your table. 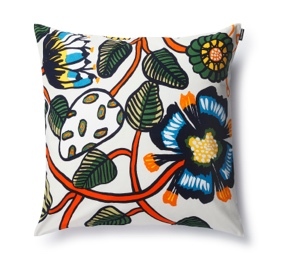 Marimekko’s Tiara pattern is a dense print that depicts plants and flowers, and celebrates the crowning achievements of beauty of nature. Designed using black ink and water colors, bold lines and a lovely color palette may cause this to grow on you! Pieni Tiara oven mitten: This ambidextrous oven mitten can be worn on either hand and is made of padded, heavyweight cotton. Featuring the new Pieni Tiara print, this cheerful accessory will keep you safe while serving meals. Tiara pillow cover: Decorate your dining chairs with this square pillow sham displaying a colorful flower pattern unique to the Tiara collection. Made of heavyweight cotton, it has a side zip closure for ease of washing. 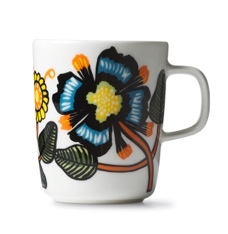 Tiara mug: This white stoneware mug features blooms that will help any caffeine-craver rise and shine. Plus, it’s dishwasher, microwave, and freezer safe and painted with glazed colors that will remain vibrant over time. With its classic merry-go-round motif designed by Katsuji Wakisaka, the colorful Karuselli collection is perfect for entertainers with flair who aren’t afraid to stand out. A delightful look for happy occasions and celebratory soirees, all things Karuselli are joyful and artfully designed. 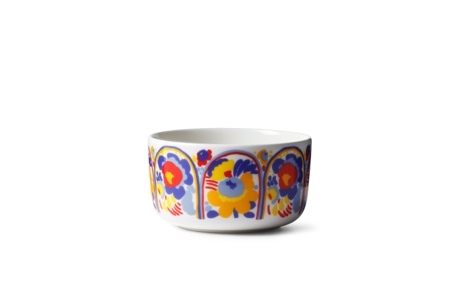 Karuselli bowl: Shake things up while tossing your salad in cheerful bowls made of white stoneware. 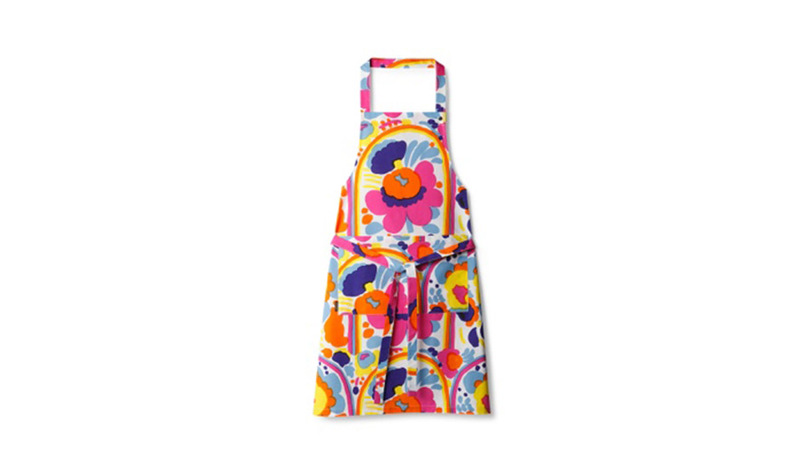 Vibrant and colorful, it’s a floral-inspired creation that’s dishwasher, microwave, and freezer safe. Karuselli apron: Creative chefs should look the part! 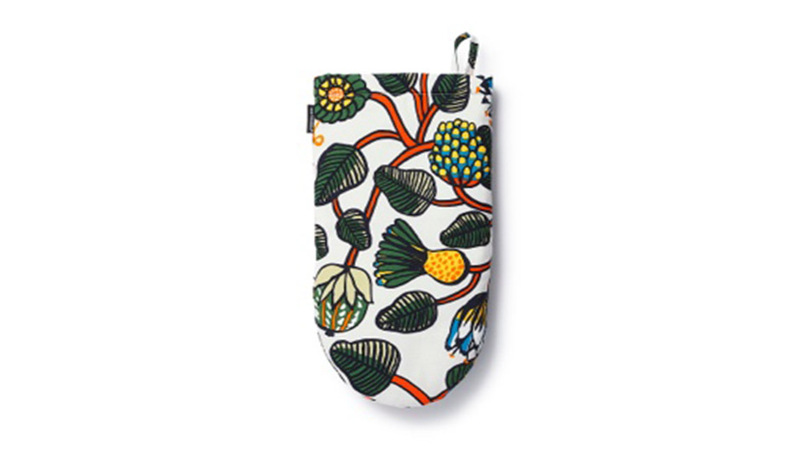 This heavyweight cotton apron featuring the colorful Pieni Karuselli print features a front pocket, three neckband snap settings, and waist straps. 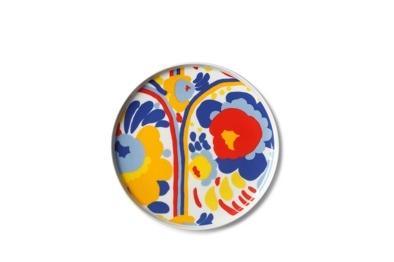 Karuselli plate: Guests will want seconds when served these painterly stoneware plates. Measuring 8” in diameter the dishwasher, microwave, and freezer safe kitchenware will boost the visual flavor of any feast. 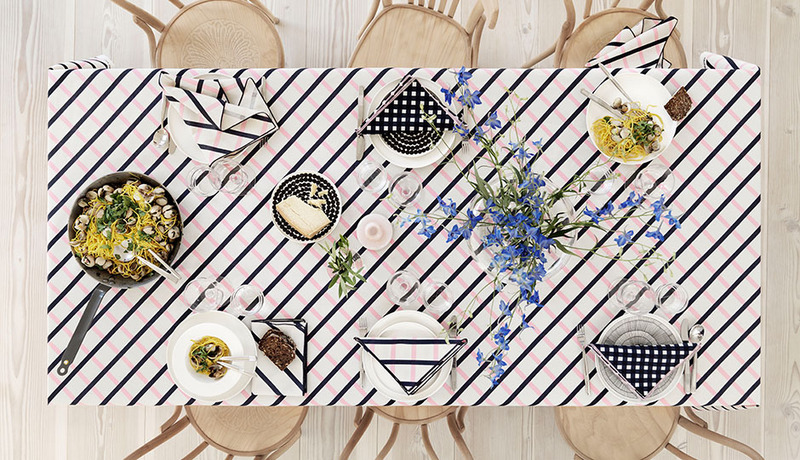 What’s your summer entertaining style? 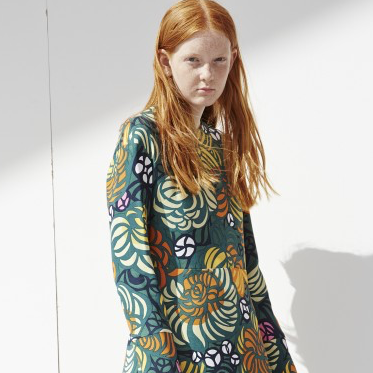 Visit Marimekko Boston at 140 Newbury Street, open 7 days a week and shop Marimekko online for all these looks and more that will be perfect for any celebration you host!